Updated Friday December 7, 2018 by SMP Board. 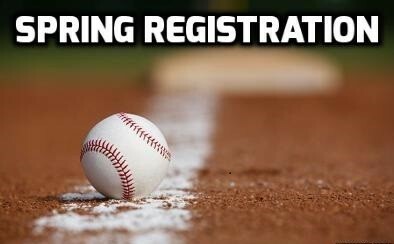 2019 SMP Spring Baseball Registration will be open December 5 through January 18. Registrations after January 18th will incur a $50 late fee and will only be accepted on a space available basis. NOTE: There is a $500 out of pocket maximum per family. All other equipment is the responsibility of the player/parent (cleats, pants, socks, glove, bat, helmet, etc.). Please check with your assigned coach for team pants color prior to purchasing pants. Based on feedback from our 5u families, starting in Spring 2019, SMP will offer one 4/5u T-Ball league and one 5/6u Coach Pitch league. Parents can select which league they prefer their 5u-eligible child to play. First time 5u-eligible players are strongly encouraged to play t-ball. In response to customer demand, Shades Mountain Park is expanding its competitive baseball offering for the 9u and 10u age groups. Starting in 2019, SMP will expand facility usage opportunities for SMP Select teams in these age groups to provide these teams increased opportunities for practice and/or games during the rec season, prior to the postseason. Players and coaches participating on an SMP Select team are required to actively participate in the SMP rec season, having registered through the SMP website and met all eligibility requirements. SMP will dedicate Sundays and Wednesdays for SMP Select team practice, starting in February at the beginning of the spring rec season, so each team will have two practice opportunities each week through the completion of the rec season. The rec league will take priority over any SMP Select team activities. At no time will a player be allowed to miss a rec game or practice to participate in an SMP Select team activity. Because this option exists in parallel, but addition to, the rec season, it will require an additional time and cost commitment. SMP Select teams will be required to represent SMP with the same expectations placed on rec teams, players and coaches. How is this different from GBBA? Both teams are comprised of kids playing in SMP’s rec program at these age groups. Both teams provide the opportunity for extra, more competitive, baseball after the rec season ends. The main difference is when the teams are formed, and the time commitment required. Select teams will be formed prior to the start of the rec season and can practice twice per week. A player could be required to be at the park four times per week for baseball activities from February through April. GBBA teams are not formed until right before spring break, utilizing the SMP GBBA Team Selection Policy, and could have practices on Sundays in April. All of these teams (Select or GBBA) have the option to play in the GBBA tournament and/or other travel tournaments, as decided by each team. How are Select teams formed? While the SMP Board does not govern the formation of Select teams, it does encourage the provision of an opportunity for consideration for all kids who indicate interest during the Spring 2019 registration process. The SMP Board will only get involved if requested by the age group commissioner to provide issue remediation. Up to two Select teams can be formed in each age group (9u and 10u) and will be formed through a tryout process that will be facilitated through the age group commissioner. Coaches interested in being a head coach should contact the age group commissioner by January 15th. In the event, more than two coaches want to form a team resolution can’t be reached, consideration will be given to the coach’s previous contributions to the SMP rec program. How does a player indicate that he wants to be considered for a Select team? During the Spring 2019 registration process, there is an option for indicating interest in playing Select and GBBA. Players will be contacted with further information after registration closes. Any player who isn’t chosen for a Select team will be placed in the GBBA player pool. What is the cost and time commitment? A player’s rec fee will cover Select team’s insurance and facility usage costs. All other costs (tournament fees, uniforms, equipment, etc.) will be determined and handled by each team. Typically, a GBBA team would only play in the GBBA tournament which ends by June 9th. Select teams would play in more tournaments and could go deeper into the summer, as determined by that team. Accordingly, the cost commitment for a Select team should be expected to be higher than a GBBA team. This option is for players age 11-14 that are on a previously formed AA (Travel) team and are not participating in the rec league. jersey and hat for ages 11-14.
playing on these teams will be determined and dealt with by the team's head coach. To register, beginning on 12/5/18 please go to: http://www.shadesmountainpark.org and log in with your account.